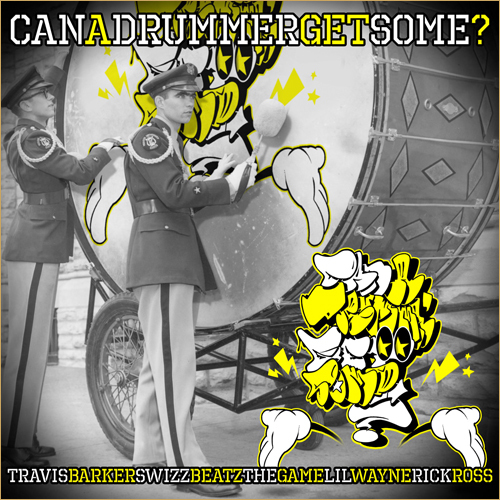 Check Out: Travis Barker ft. Lil Wayne & Rick Ross – "Can A Drummer Get Some"
After yesterday’s announcement of the release date and cameo list for Travis Barker‘s eagerly-anticipated debut solo album Give The Drummer Some, many of you undoubtedly wondered what the sweet sizzurp-y tones of Lil Wayne might sound like backed up by the maniacal yet masterful drumming of Barker. Well, your wait is substantially shorter than the one for this album as, courtesy of 2DopeBoyz, we have “Can A Drummer Get Some” to enjoy on this most glorious of days. Not only do we get Weezy, but also throwing down verses are Rick Ross and The Game, not to mention sonic support from Swizz Beatz. 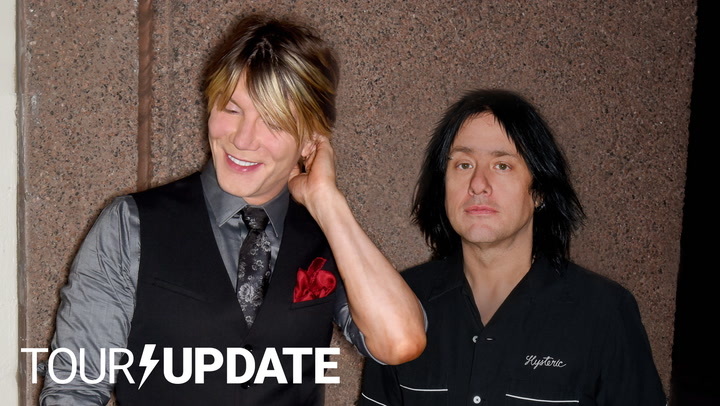 That should be enough until you get some more when Give The Drummer Some hits stores March 15th via Interscope Records.